Let's see how those Squash and Three Sisters seedlings are doing. The Squash are a good green color and look just fine. Now that they are up, I'll start the spraying regime of VermaPlex. 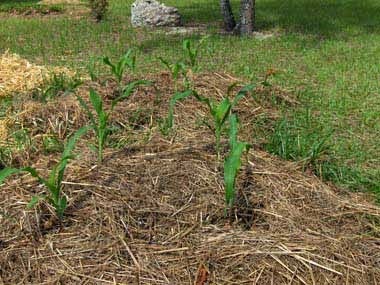 The corn is up. 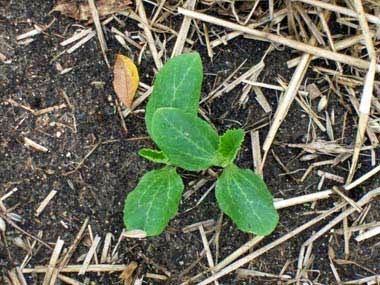 The Pole Bean and Squash we planted later in the hill around the corn should be coming up shortly. I'll be posting this method, "planting Three Sisters in individual hills that are stuck where ever there's a little room", in an upcoming entry. Due to an overwhelming interest in composting with earthworms that has suddenly taken place in the country, I'll be doing a series of entries on any-and-all-things vermicomposting. This series will be interupted with news and happenings of our organic Spring garden. 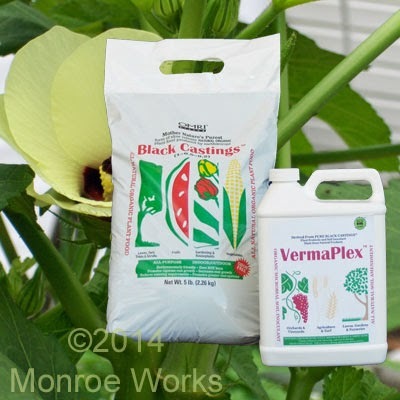 If you have a particular aspect of vermicomposting you'd like covered, please post it in the comments. Chow.